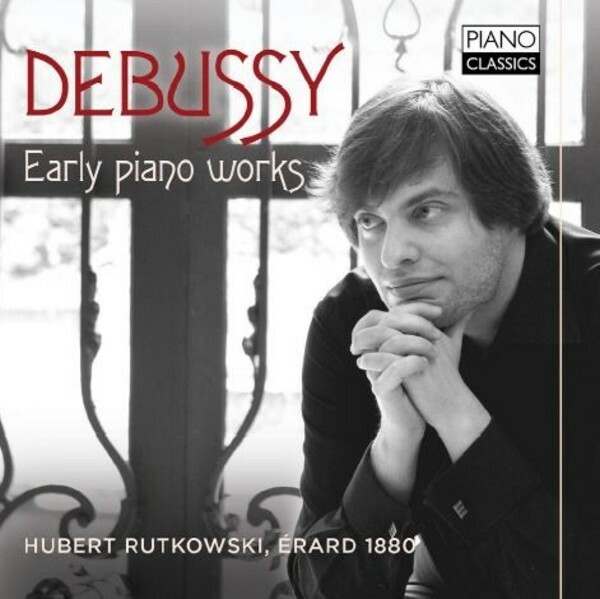 This recording contains some of the most popular, endearing and affectionate piano works by Claude Debussy - early works, written while still under the influence of Chopin and French romantic symbolism. Included are the Suite Bergamasque (including the popular Clair de lune), the Ballade, Danse, the early set of Images, 2 Arabesques, Danse boh�mienne, Nocturne, R�verie and others. They are played on a gorgeous �rard grand piano of 1880, the period of composition, lending an authentic character to these beautiful performances, presenting the colours and sonorities Debussy had in mind. Polish pianist Hubert Rutkowski is a prize‐holder of many international and national piano competitions, including the Main Prize of the Chopin Competition in Hannover (2007) and distinction 'Medalla per Unanimitat' at the 52nd International Maria Canals Piano Competition in Barcelona (2006), amongst many others. He studied at the Chopin Academy of Music in Warsaw and later the Hochschule f�r Musik und Theater in Hamburg in the class of professor Evgeni Koroliov. Since April 2010 he has served as a professor at the Hochschule f�r Musik und Theater in Hamburg as one of the youngest professors in this university. Since November 2011, Hubert Rutkowski has also been leading his piano class at the Hochschule f�r K�nste in Bremen.